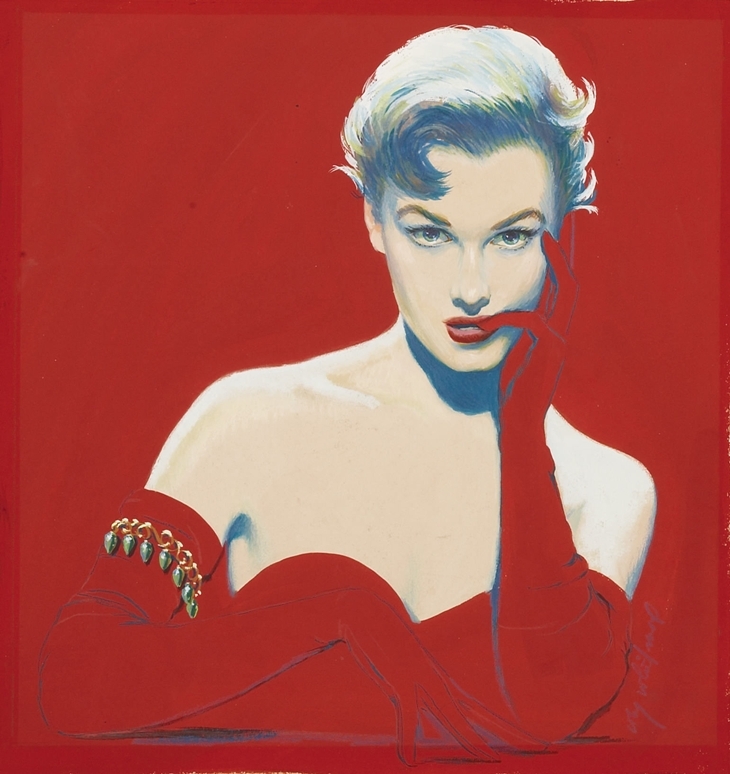 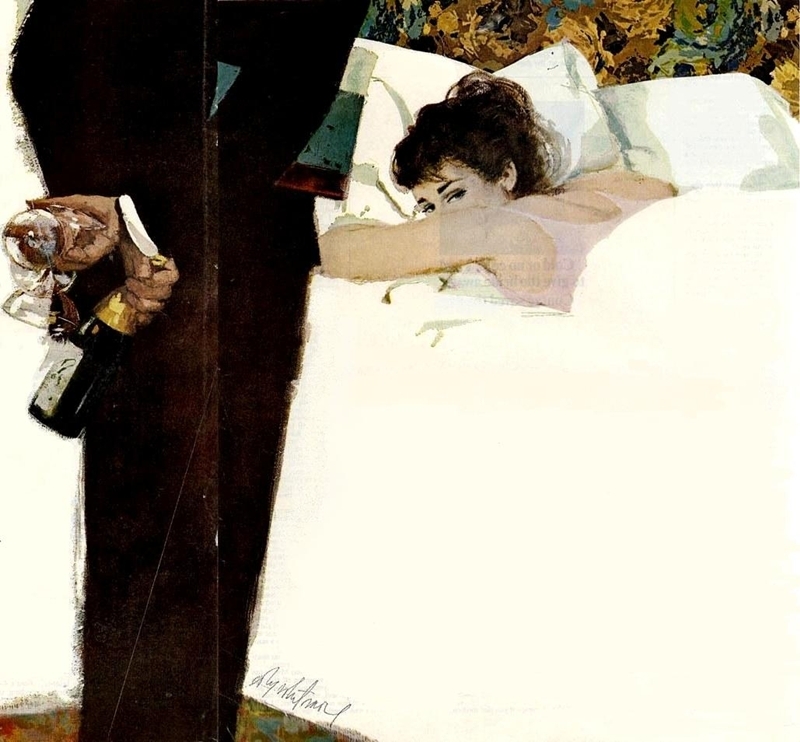 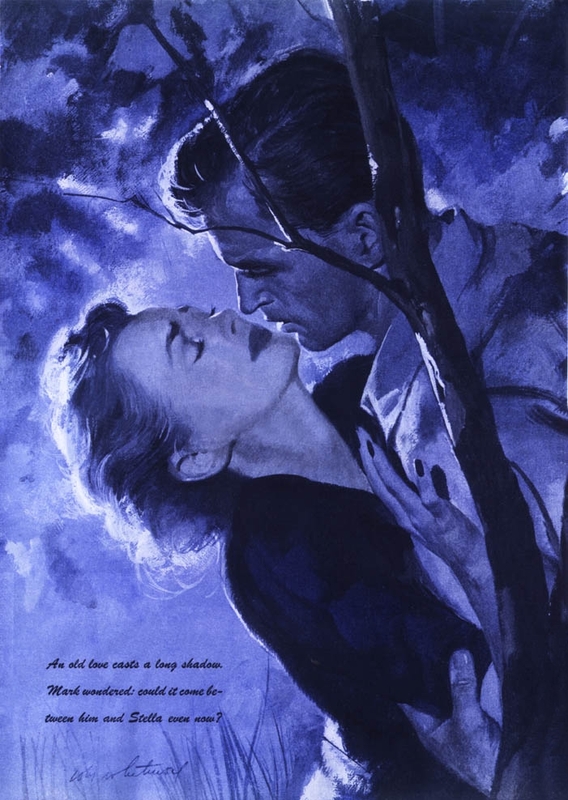 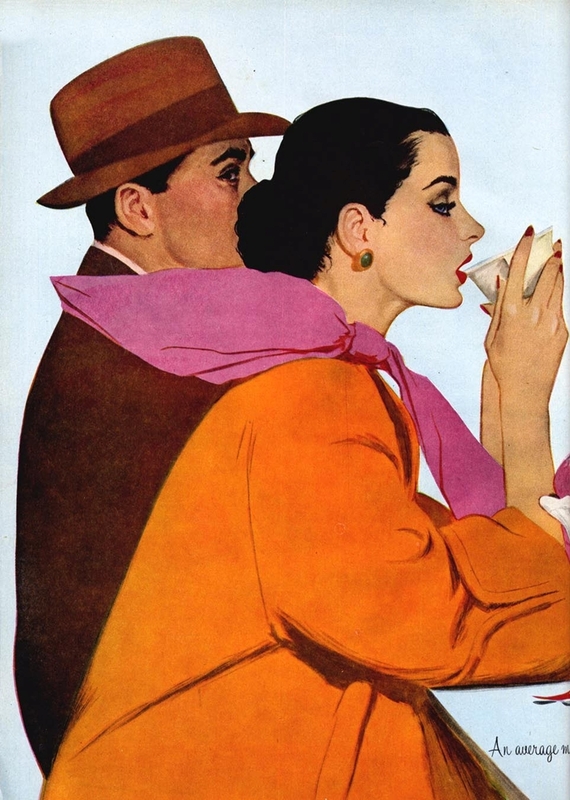 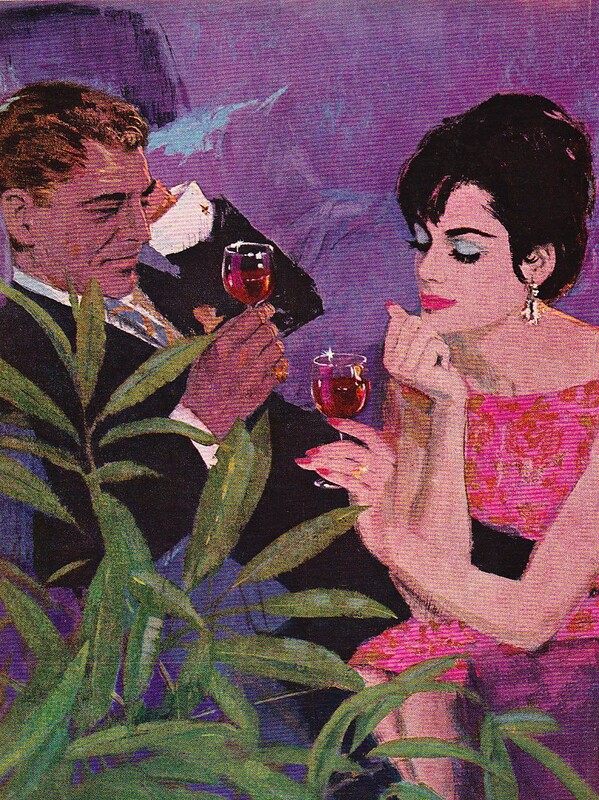 Maxwell Coburn Whitmore, Jr. (1913-1988) was an American painter, magazine illustrator and a commercial artist whose work included advertisements for Gallo Wine and other national brands. 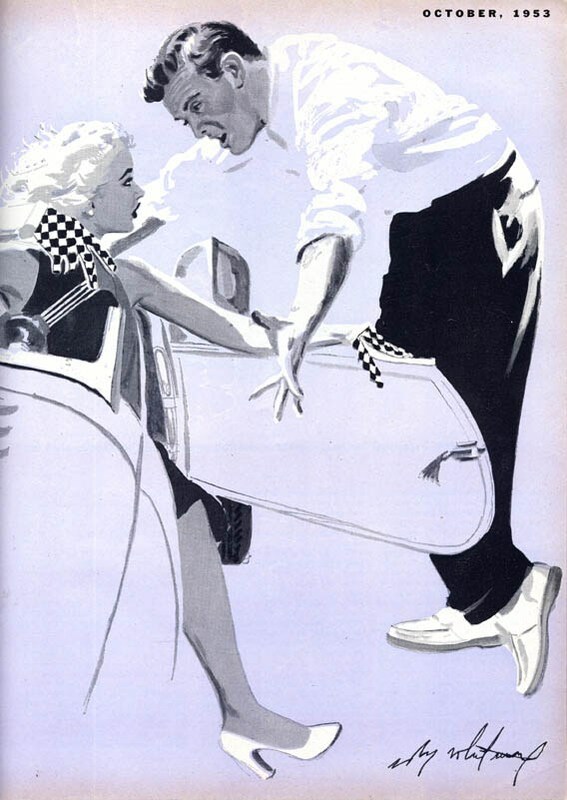 He additionally became known as a race-car designer. 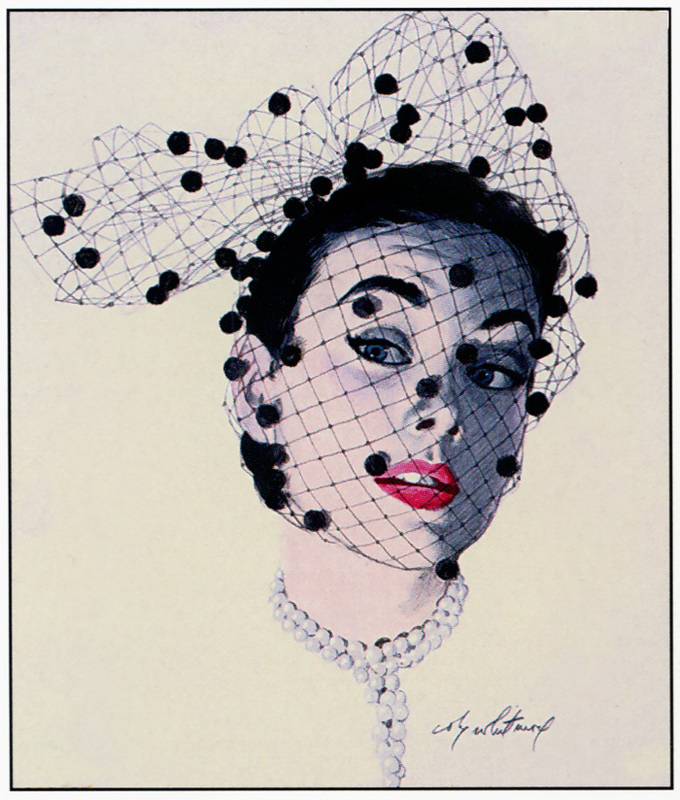 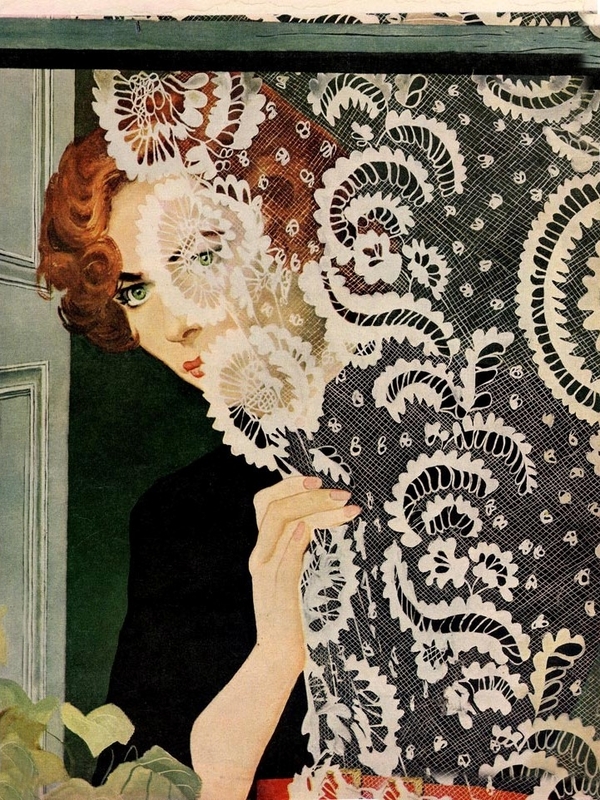 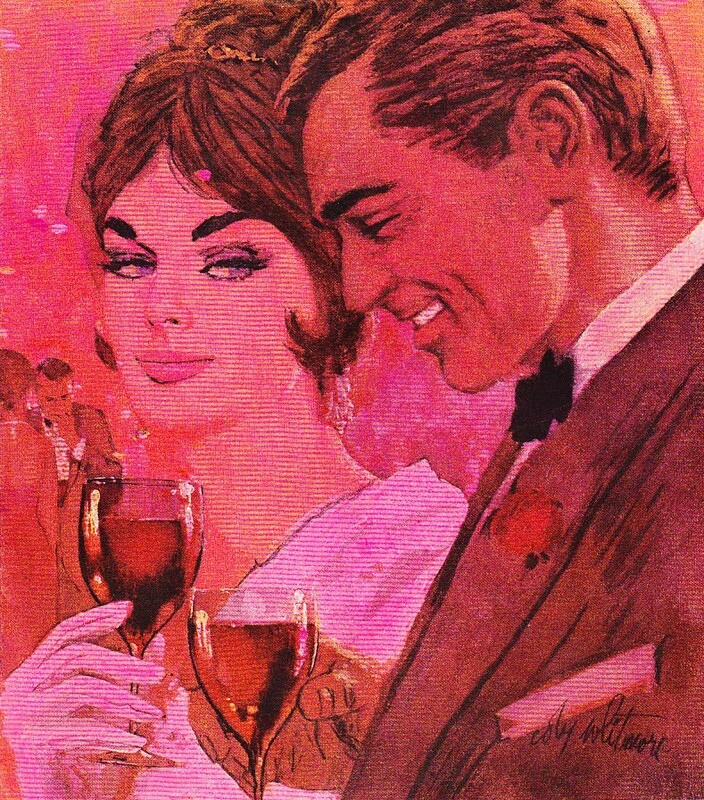 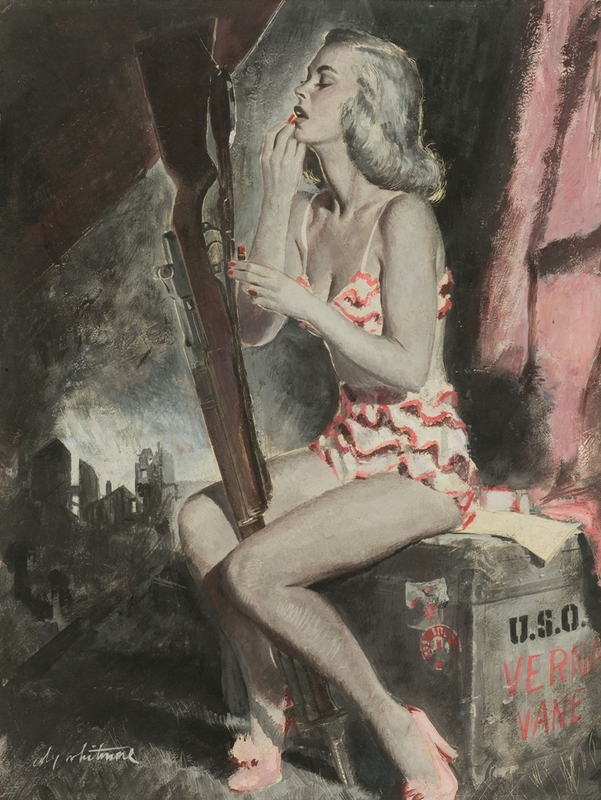 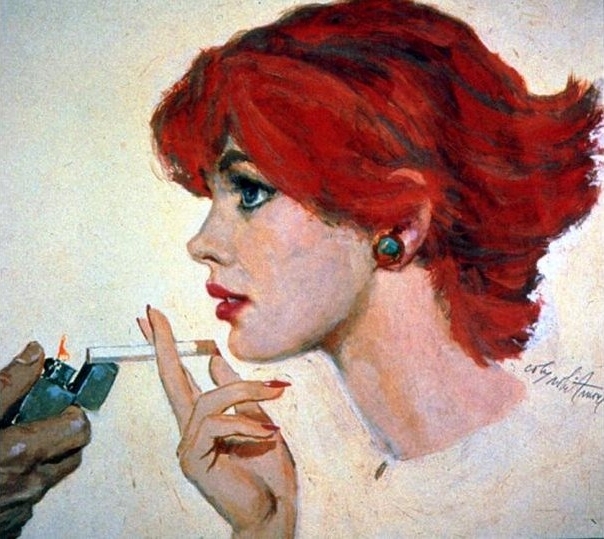 Whitmore was inducted into the Society of Illustrators Hall of Fame in 1978. 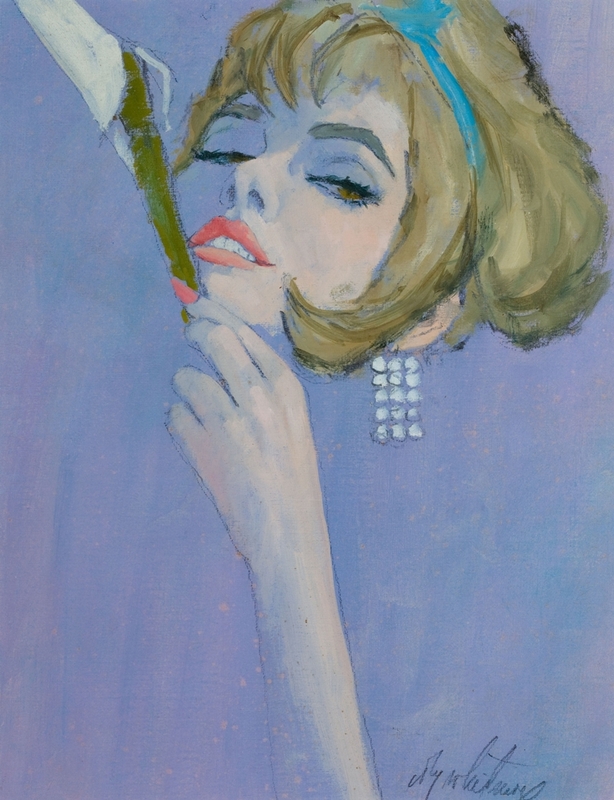 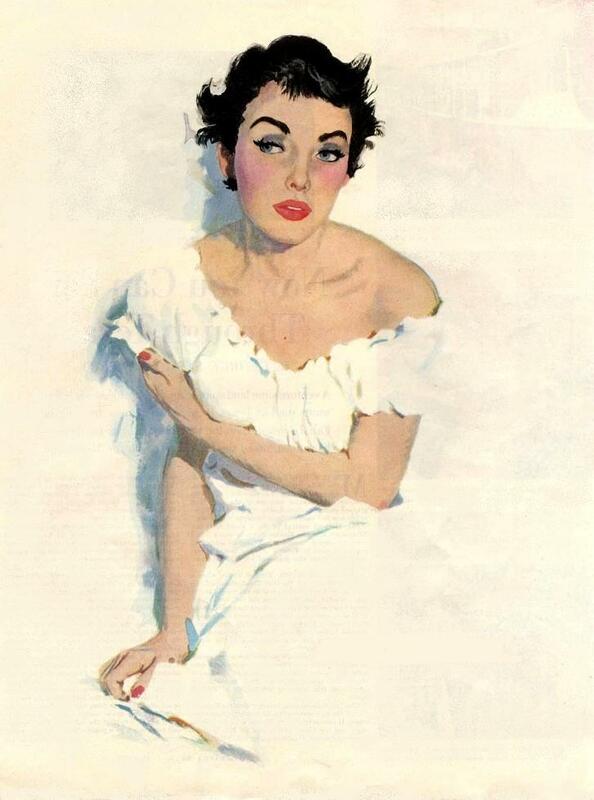 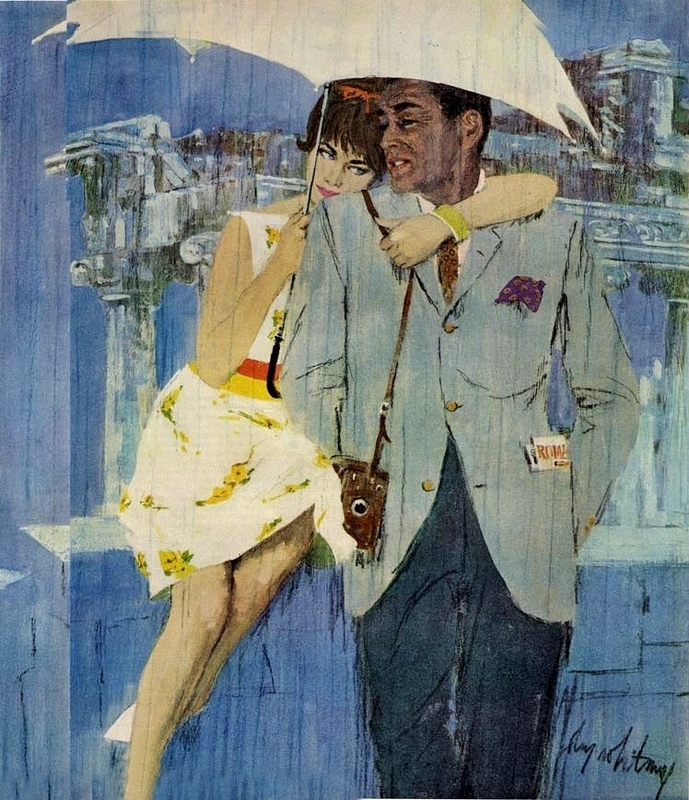 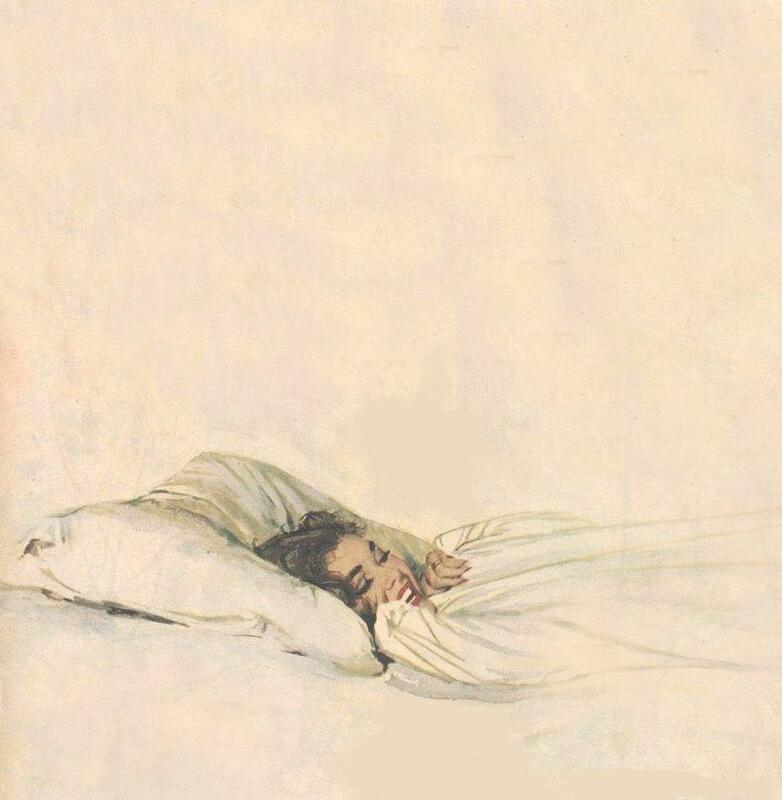 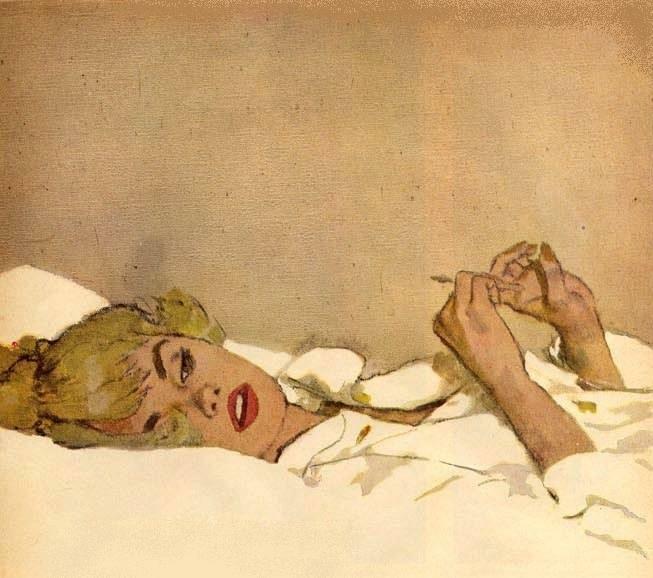 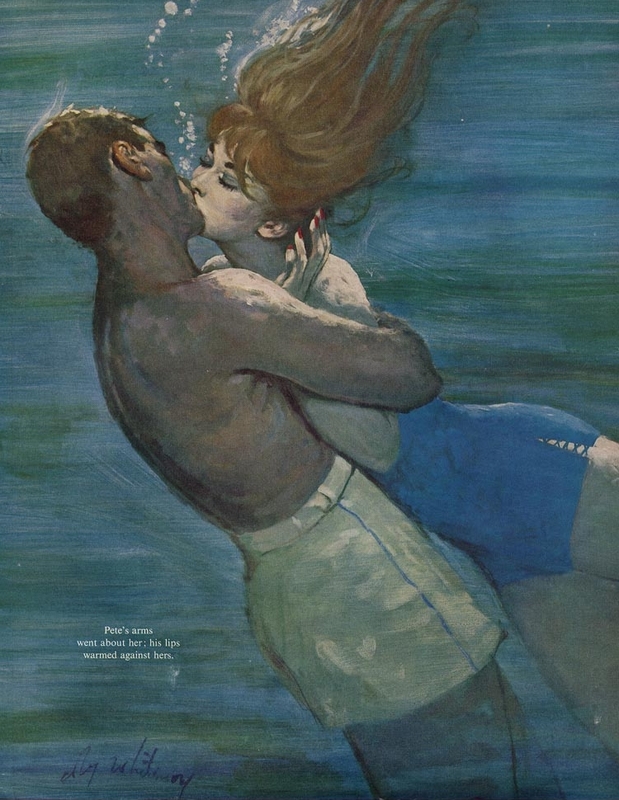 Coby Whitmore was born in Dayton, Ohio, the son of Maxwell Coburn Whitmore Sr. and Charlotte Bosler, and attended the Dayton Art Institute. 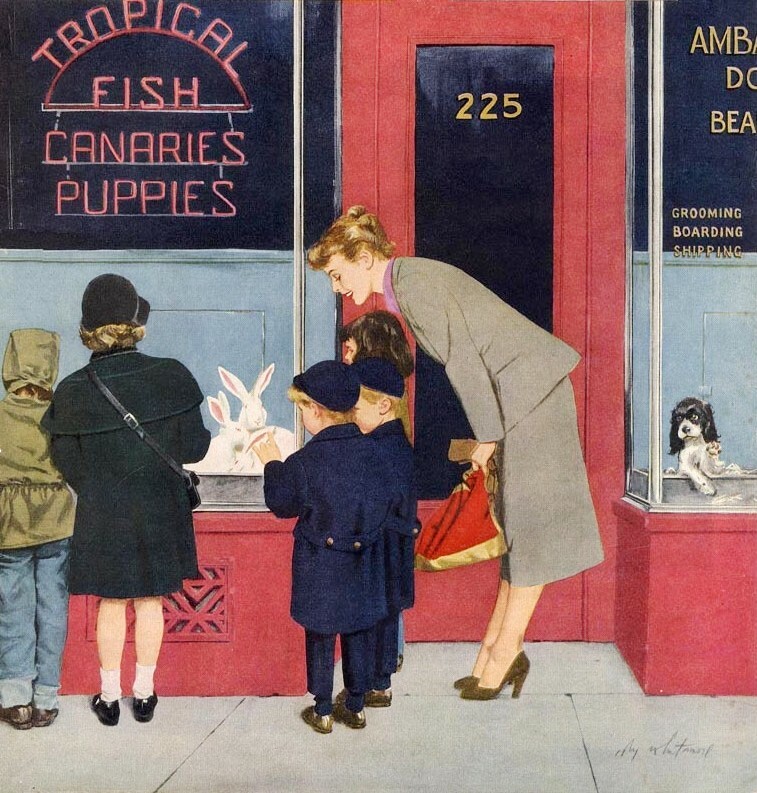 Following an apprenticeship with the "Sundblom Circle" of Chicago, Illinois, illustrator Haddon Sundblom, Whitmore joined the Charles E. Cooper Studio, on West 57th Street in New York City, in 1943. 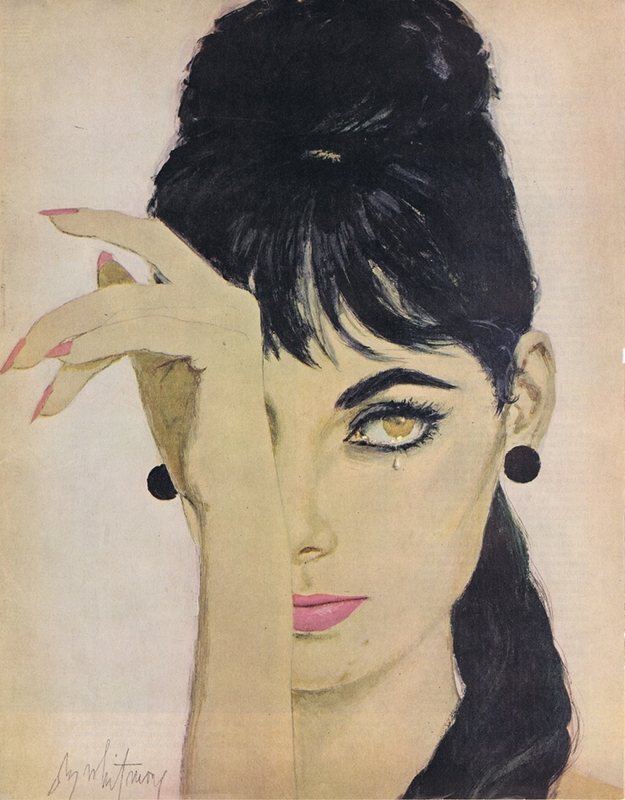 There he illustrated for leading magazines of the day and did other commercial art. 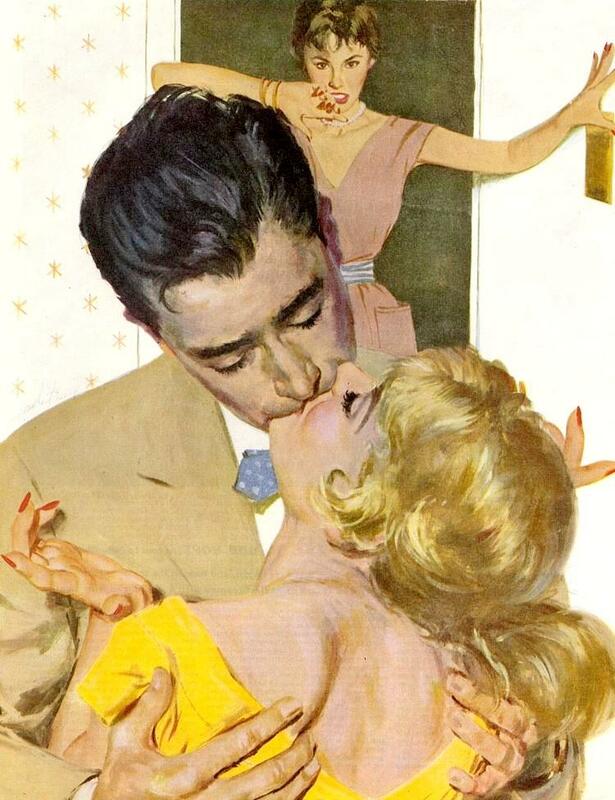 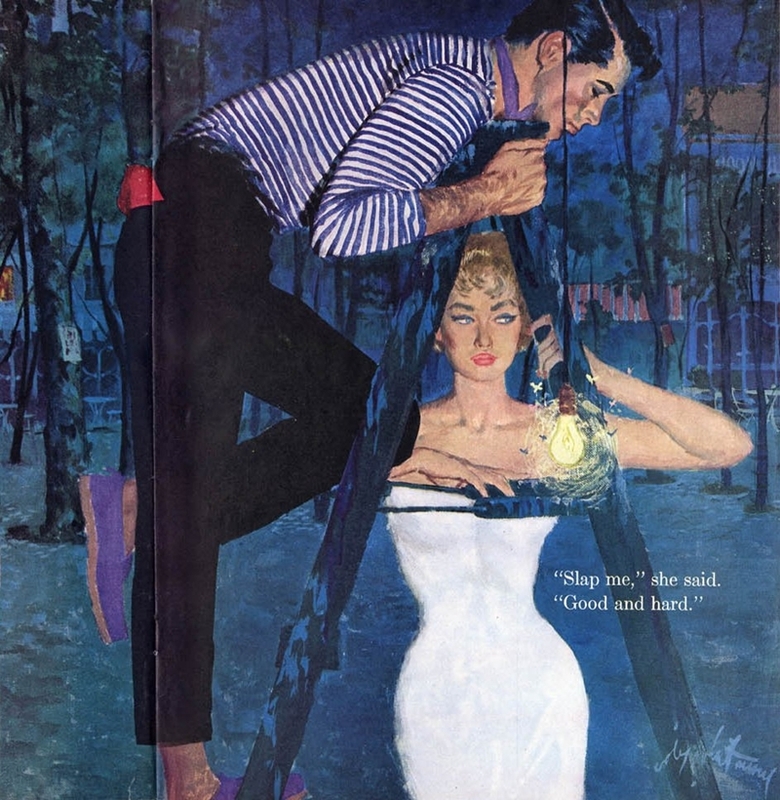 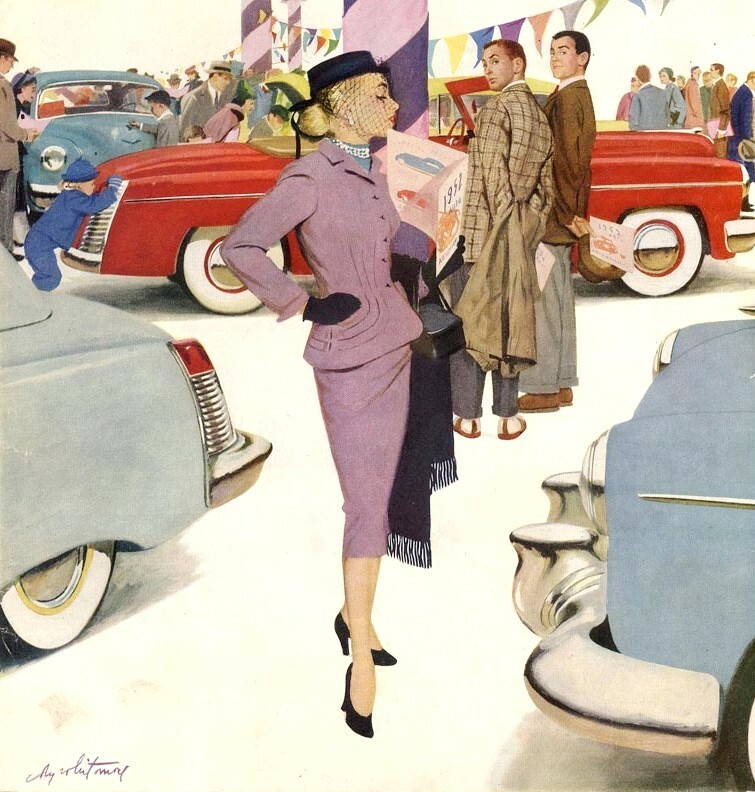 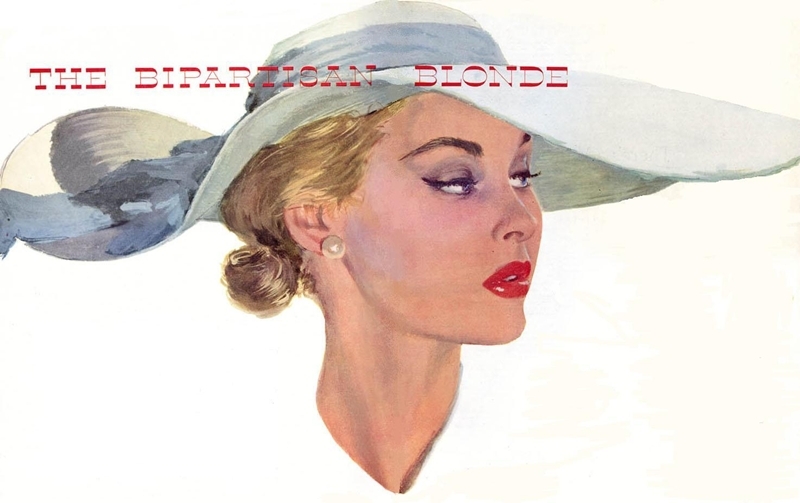 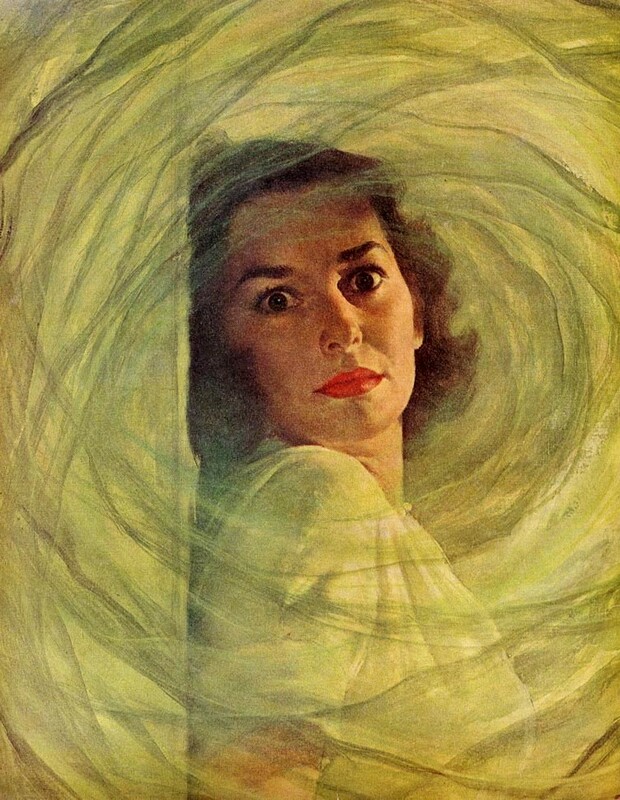 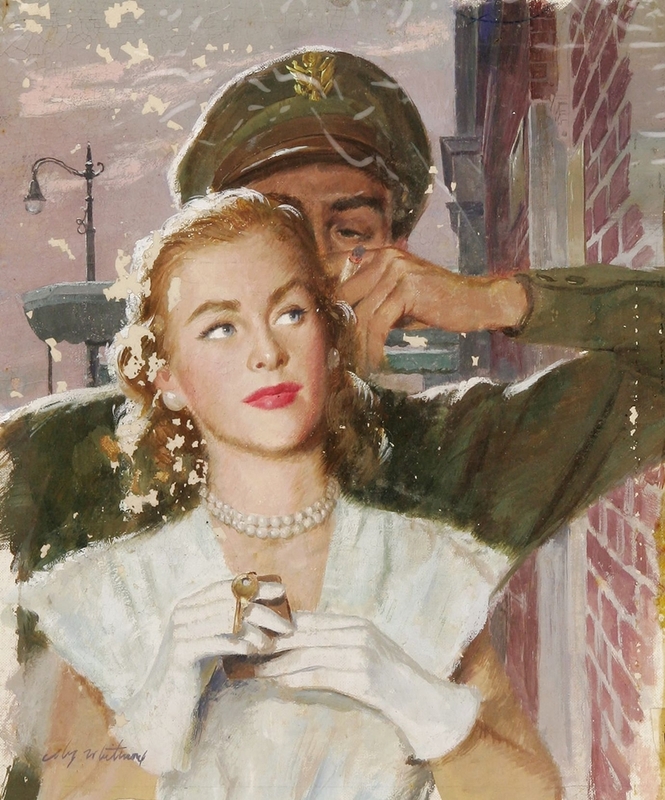 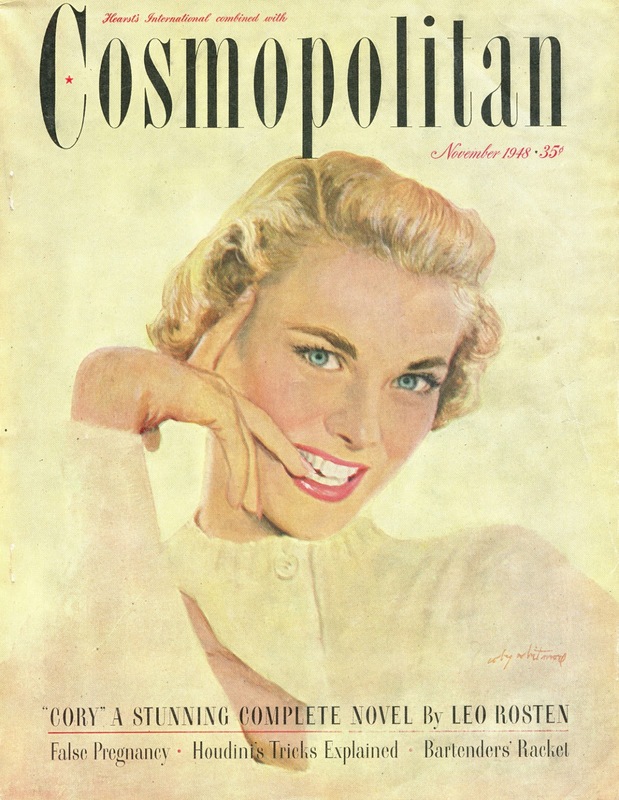 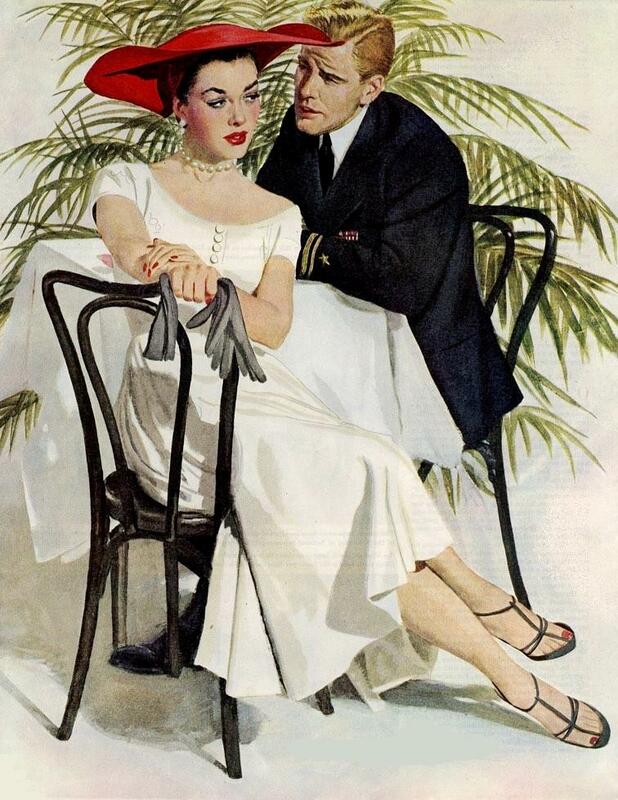 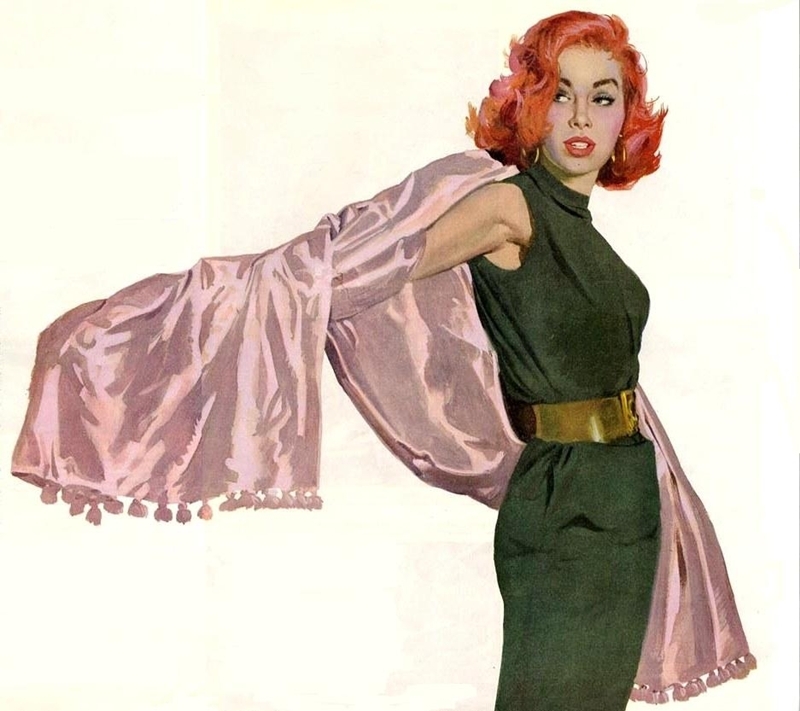 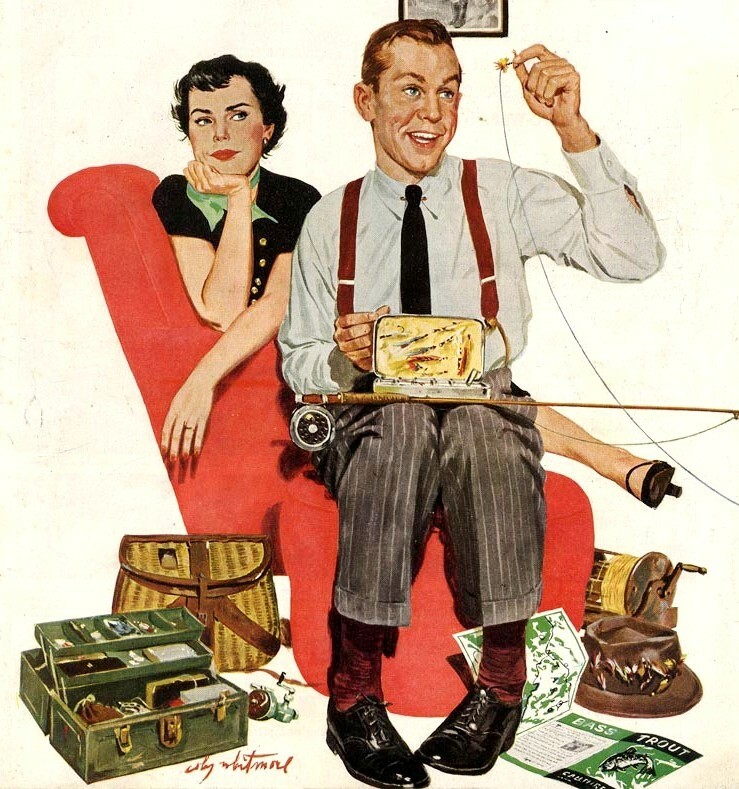 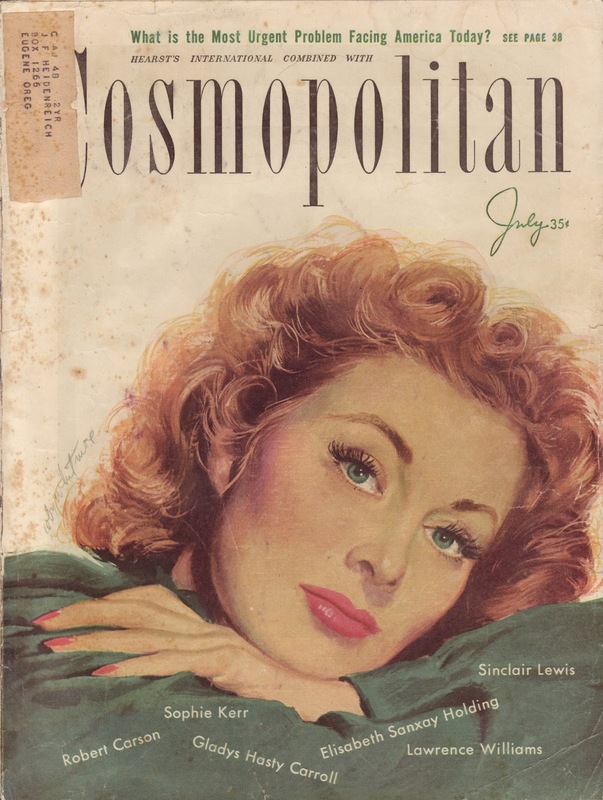 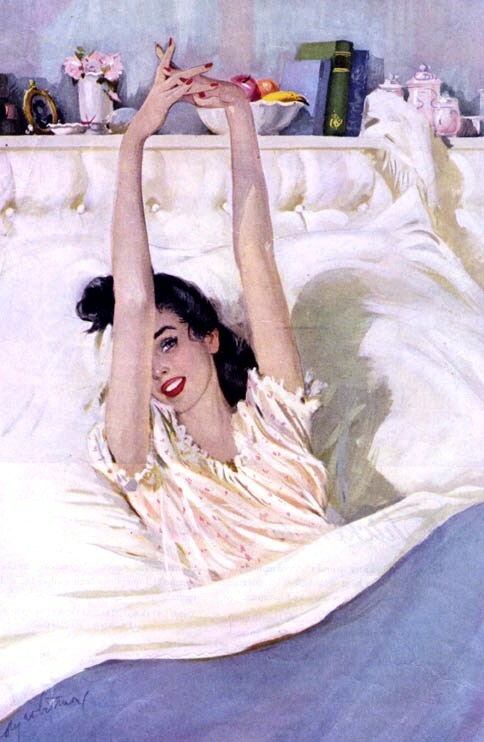 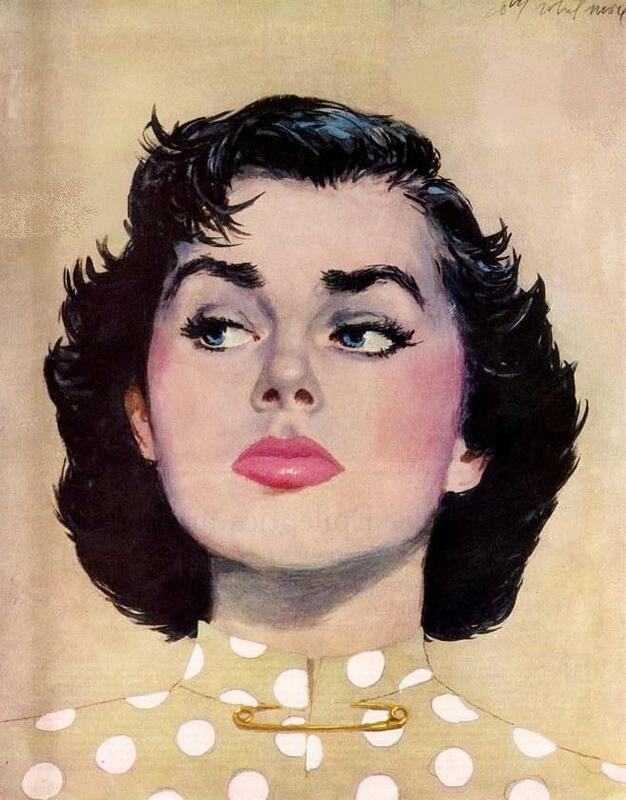 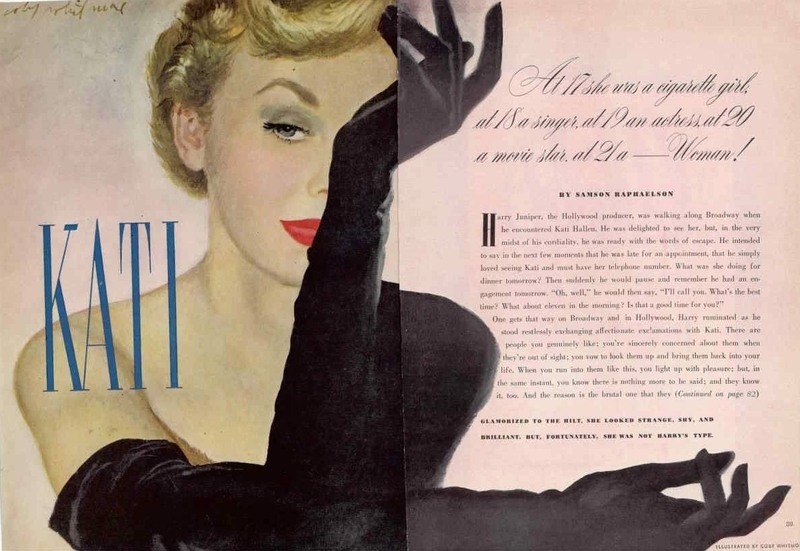 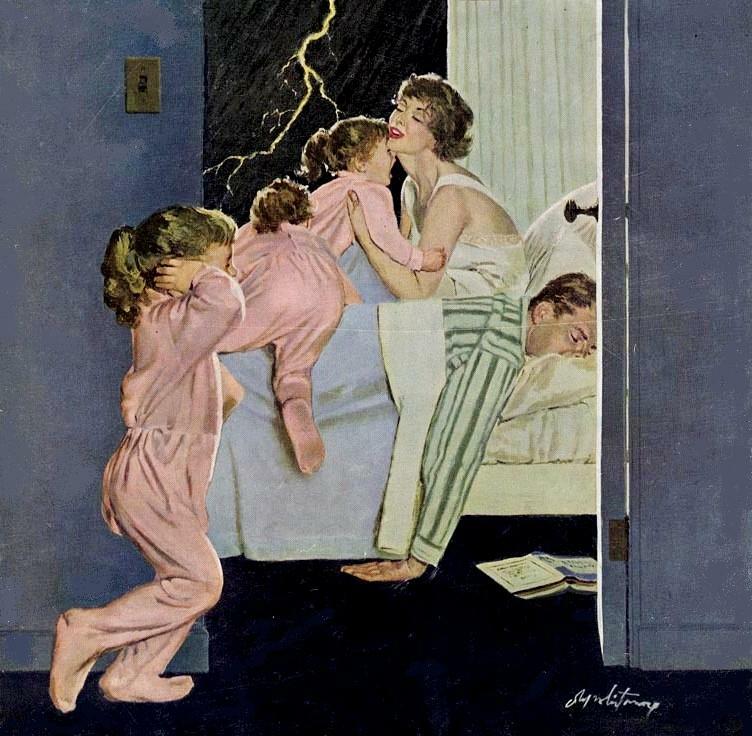 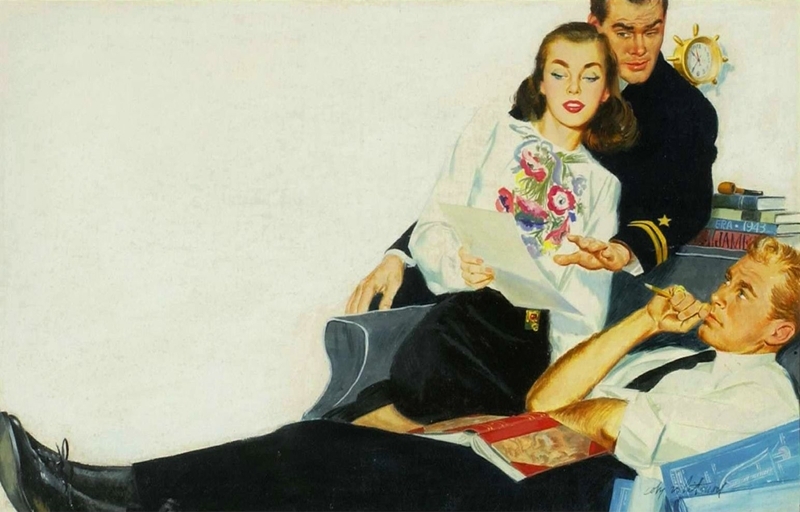 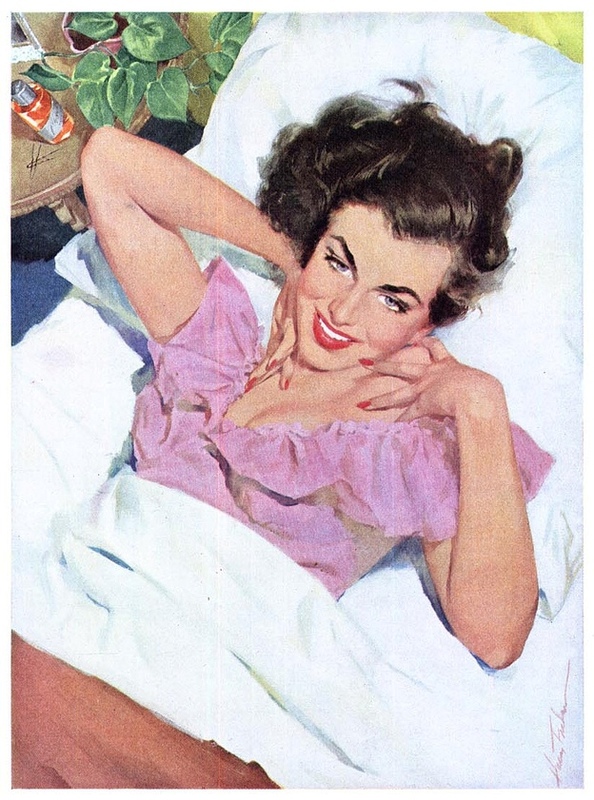 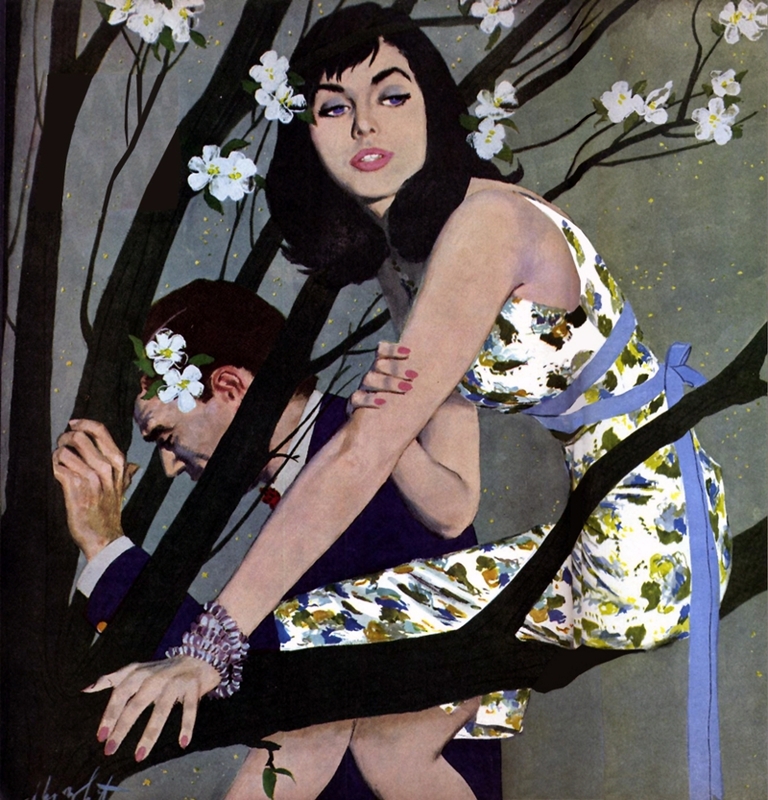 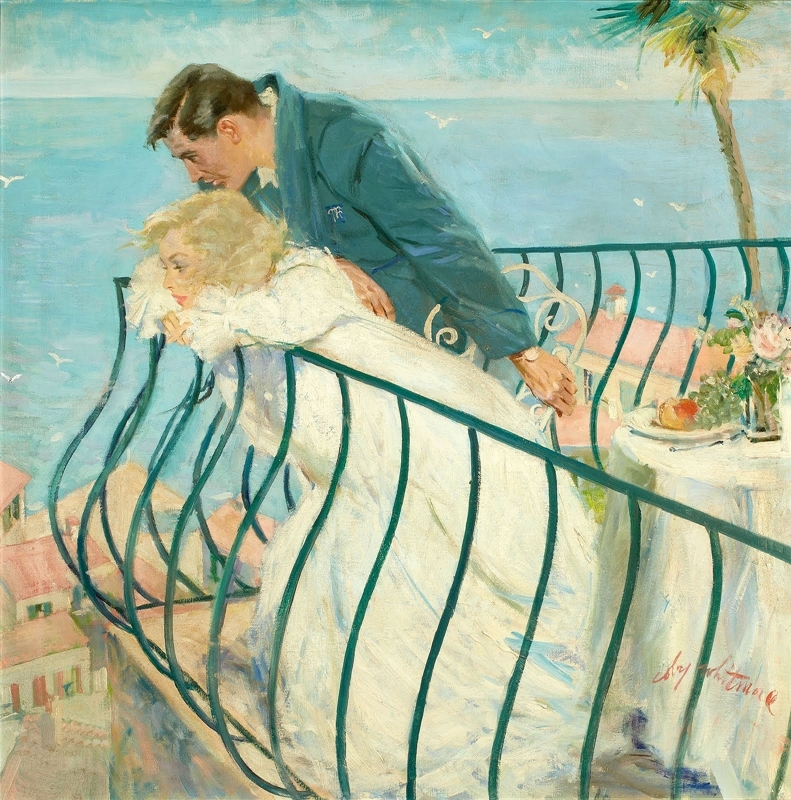 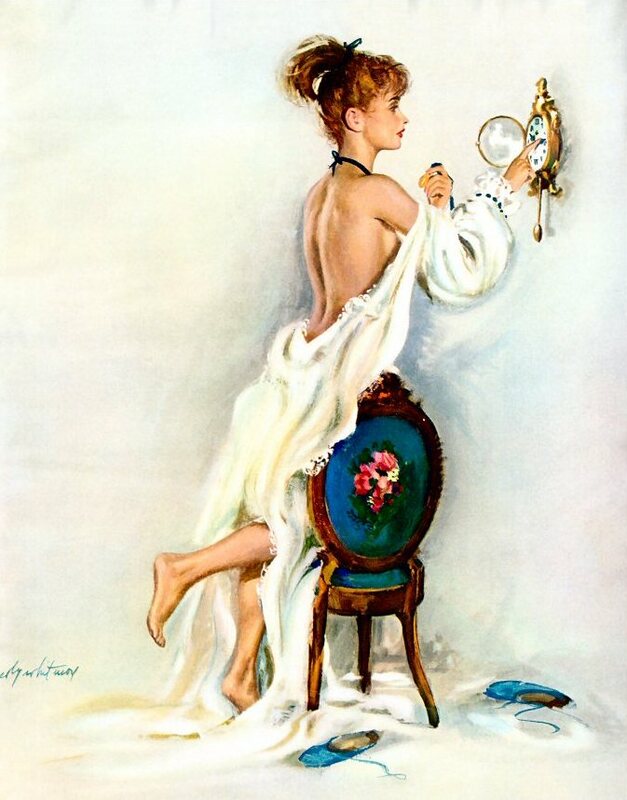 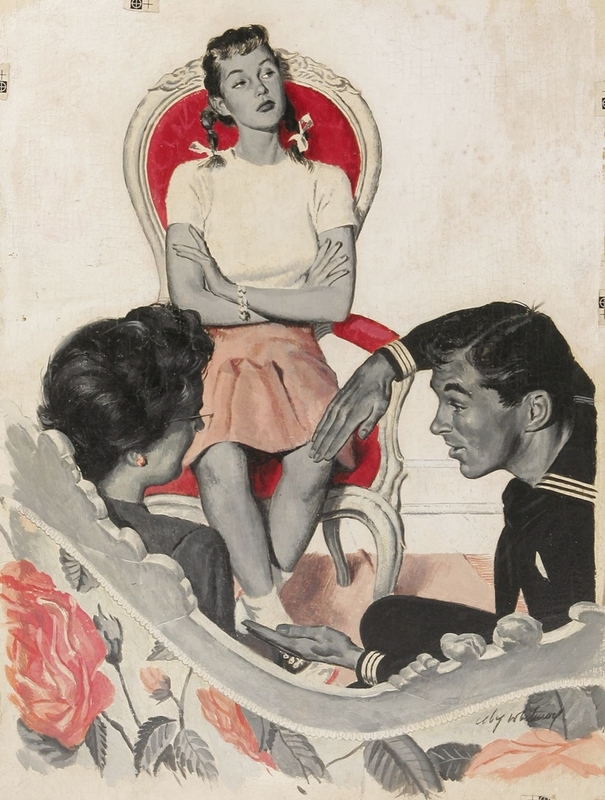 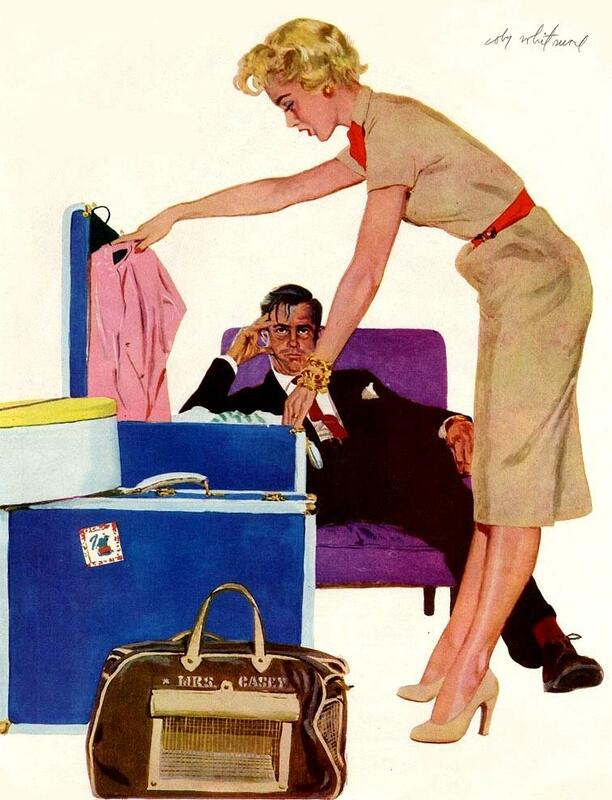 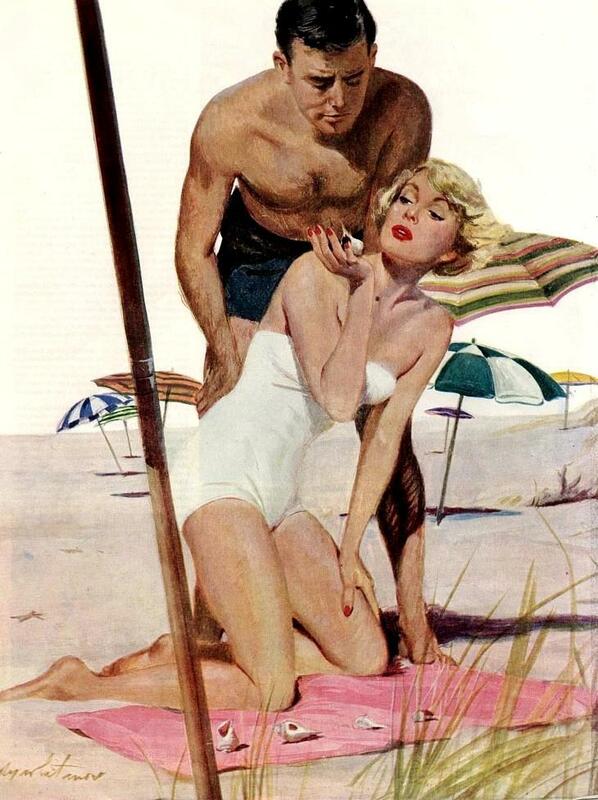 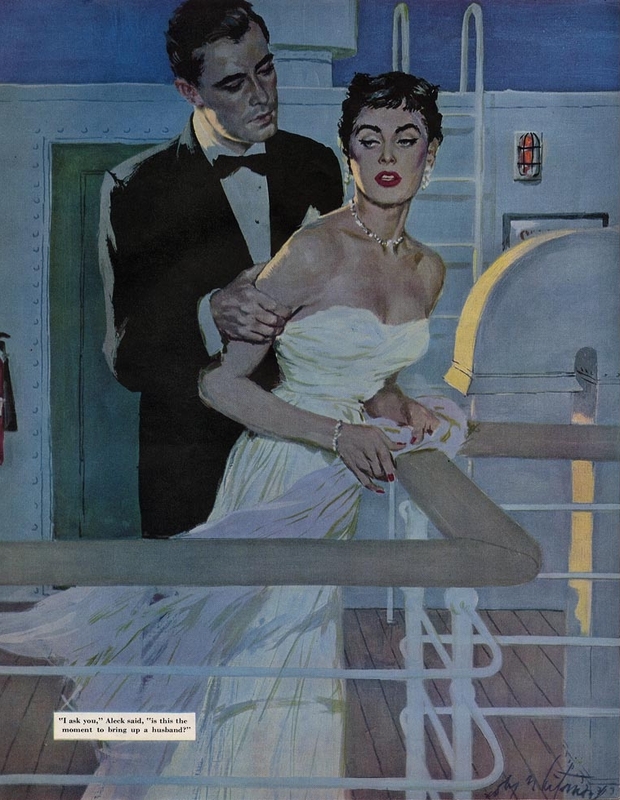 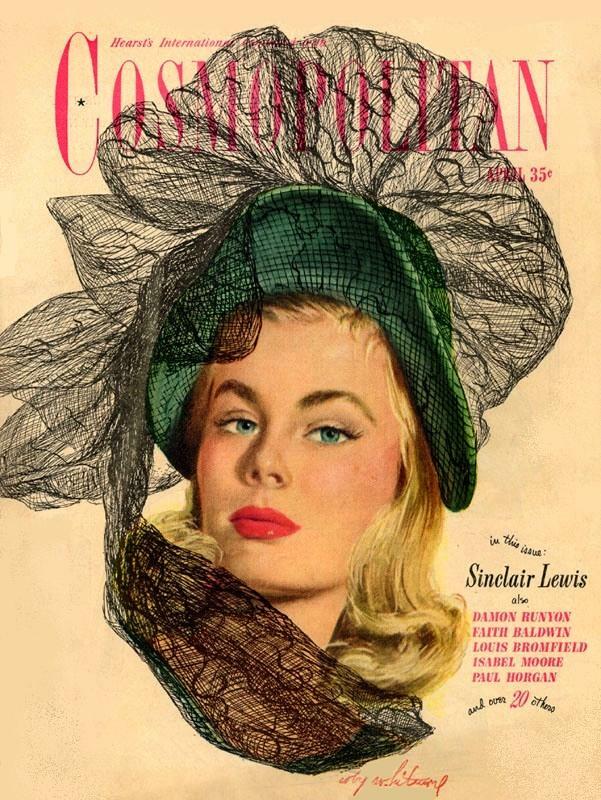 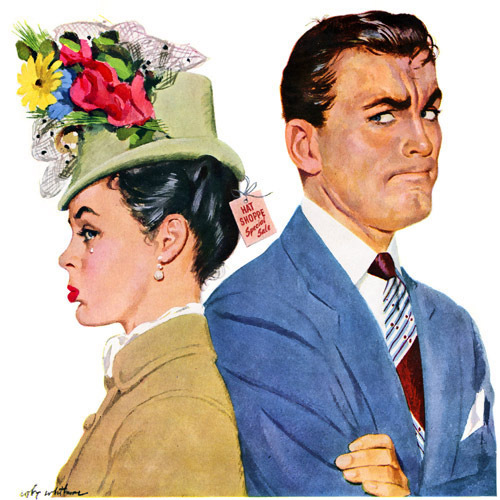 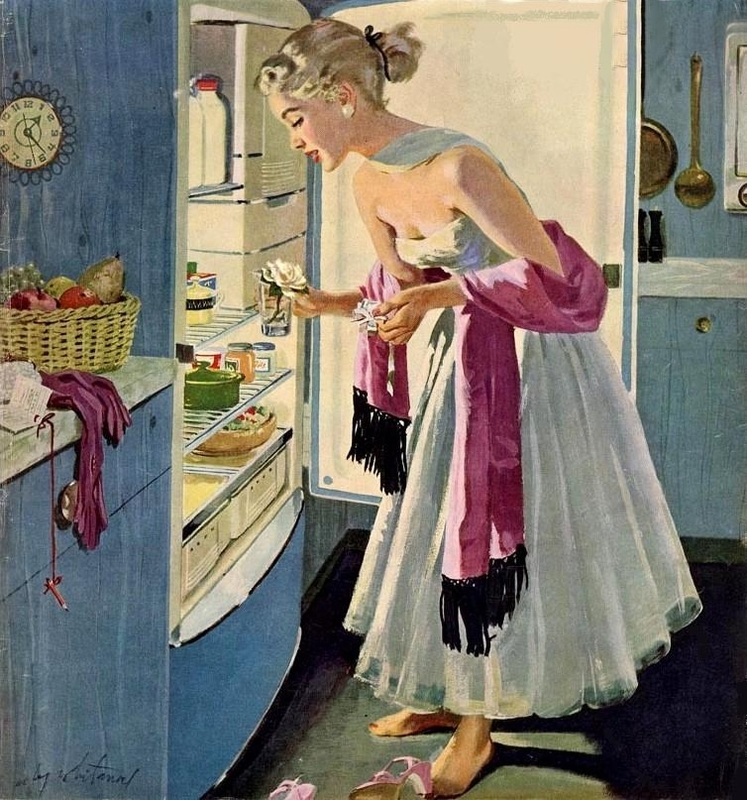 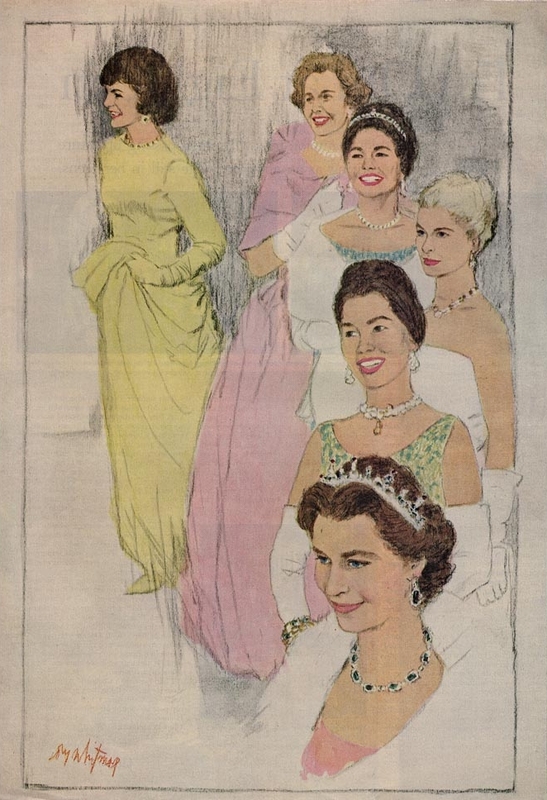 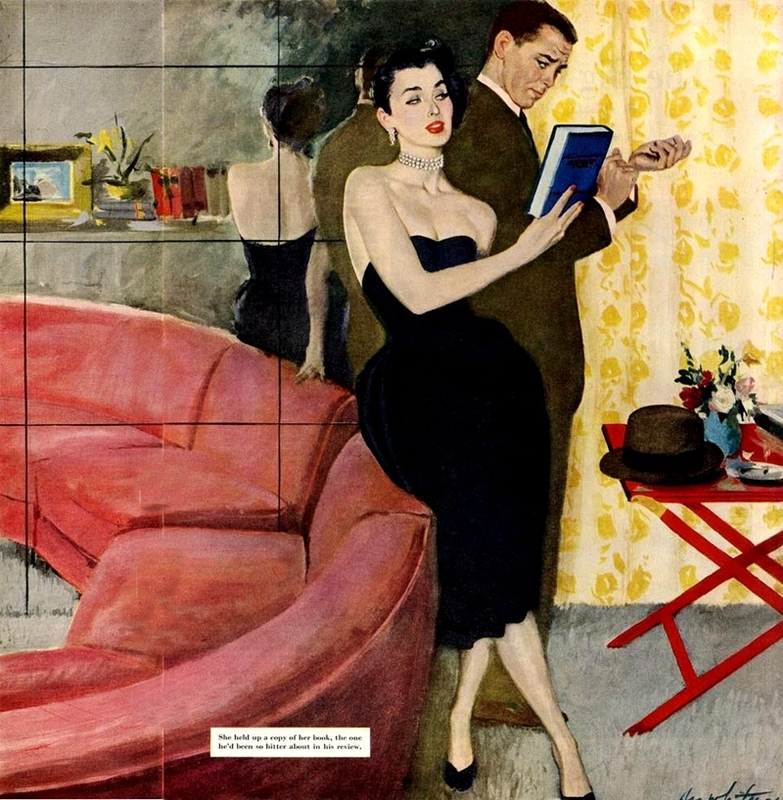 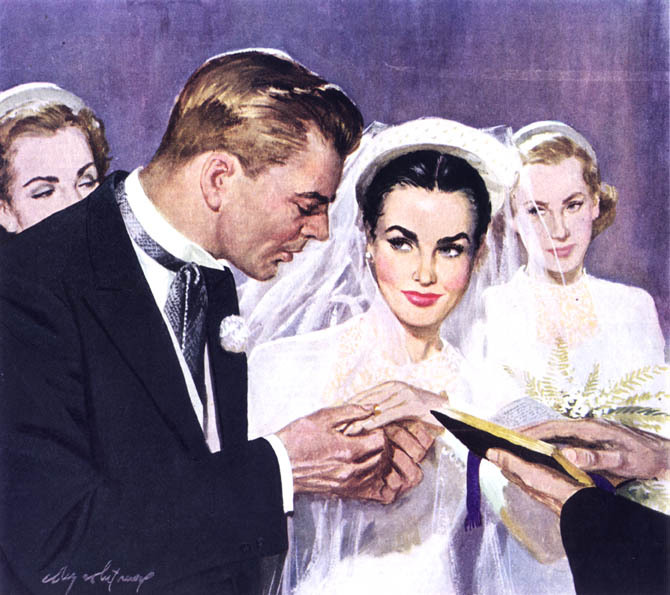 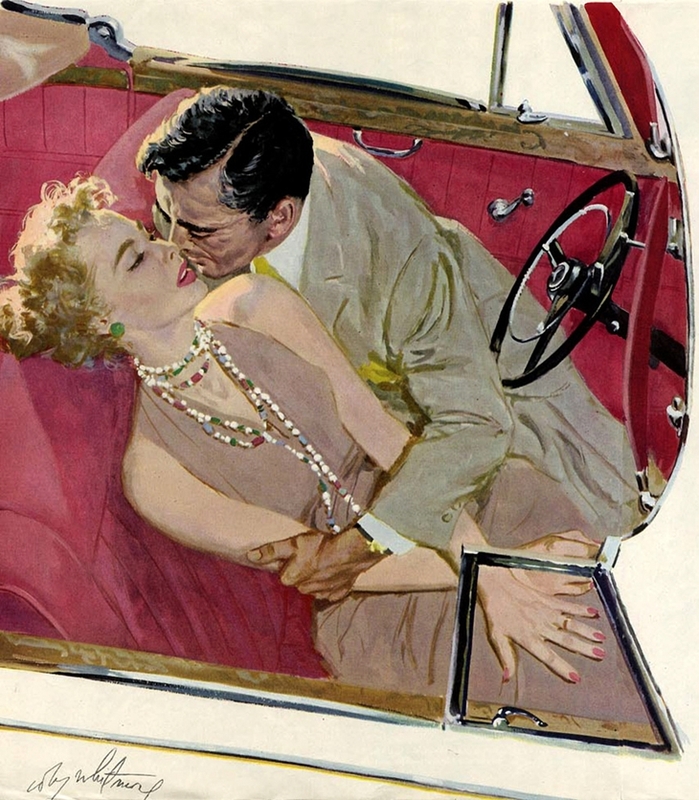 Whitmore and Jon Whitcomb were two of the top illustrators at Cooper, which in the 1940s and 1950s "monopolized the ladies' magazines like McCall's, Ladies Home Journal, and Good Housekeeping with postwar images of the ideal white American family centered around pretty, middle-class, female consumers living happily in new kitchens, new houses, driving new cars, living with handsome husbands, adorable children, and cute dogs". 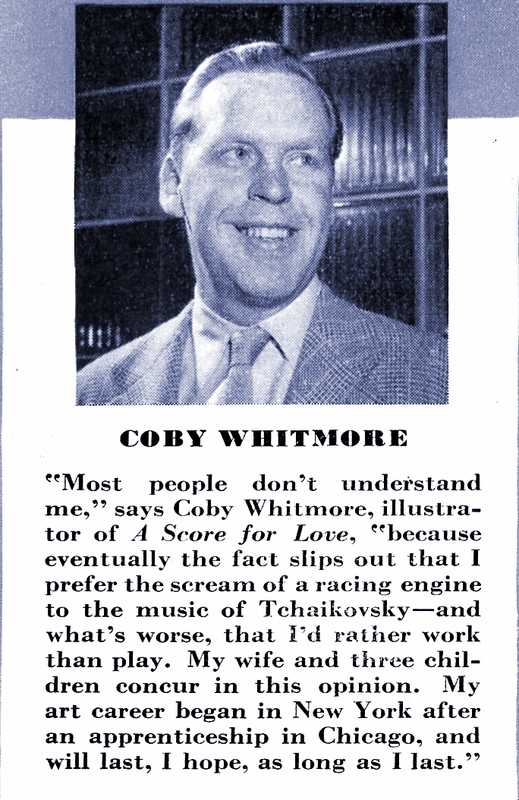 Additionally, Whitmore, by then living in Briarcliff Manor, New York, teamed with former World War II fighter pilot John Fitch, an imported car dealer in White Plains, New York, to design and race sports cars in the 1950s and 1960s. 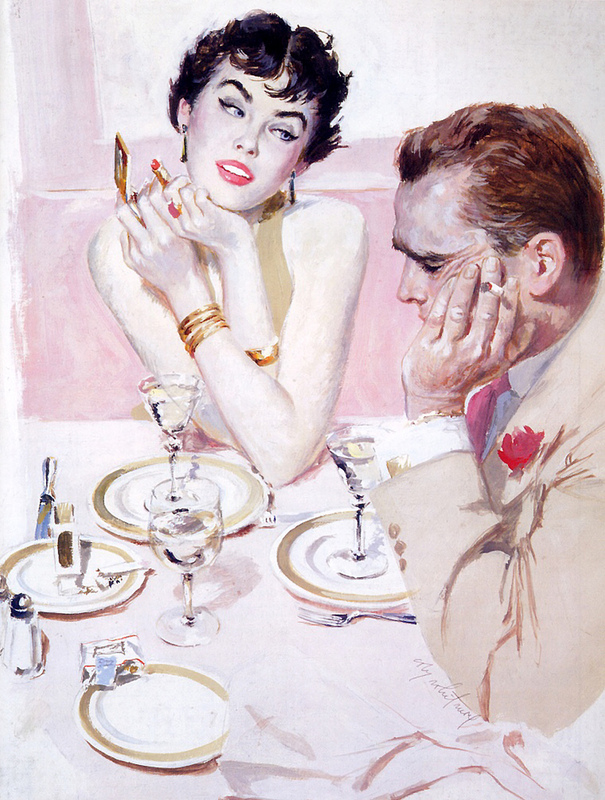 Whitmore died in Hilton Head, South Carolina, in 1988 at age 75. 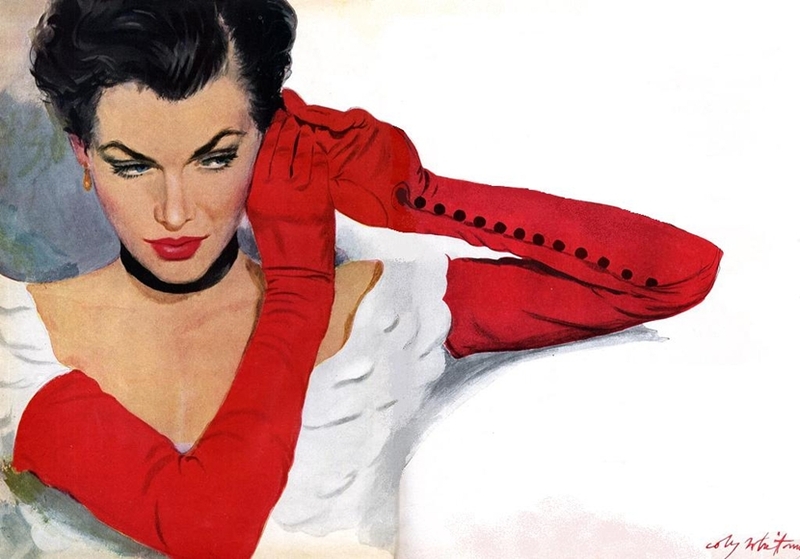 Exellent work, famous fashion and pretty womans!